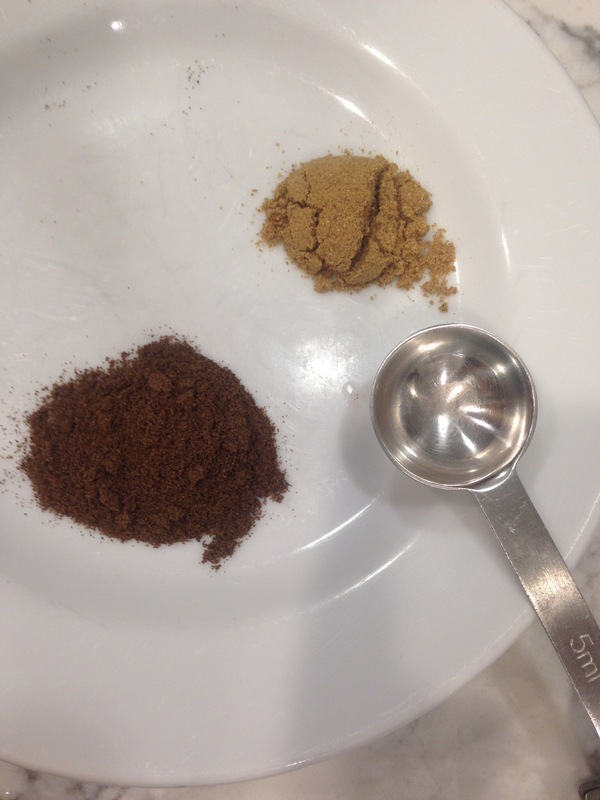 This is a recipe I found at The Mediterranean Dish! 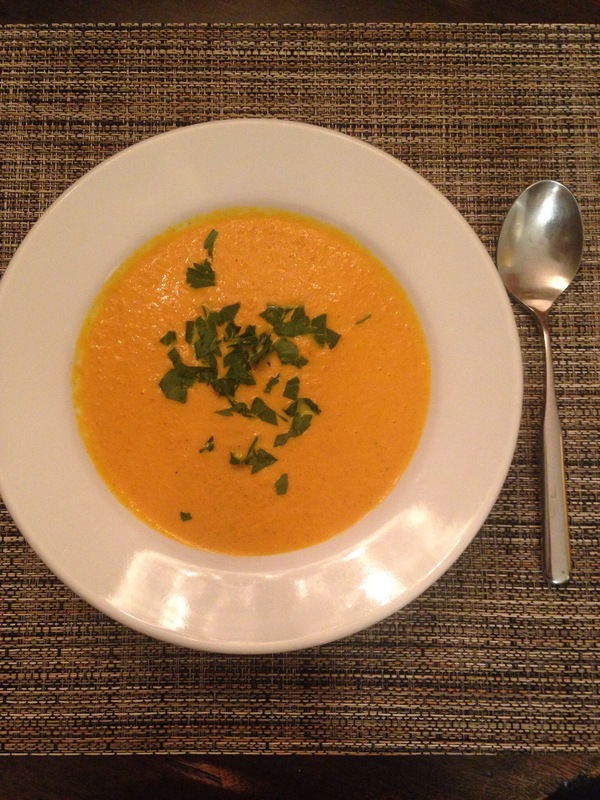 It’s similar to pumpkin or squash soup, but for those who don’t like pumpkin or squash, it’s super! 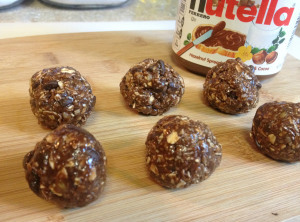 Very easy with a food processor or stick blender. 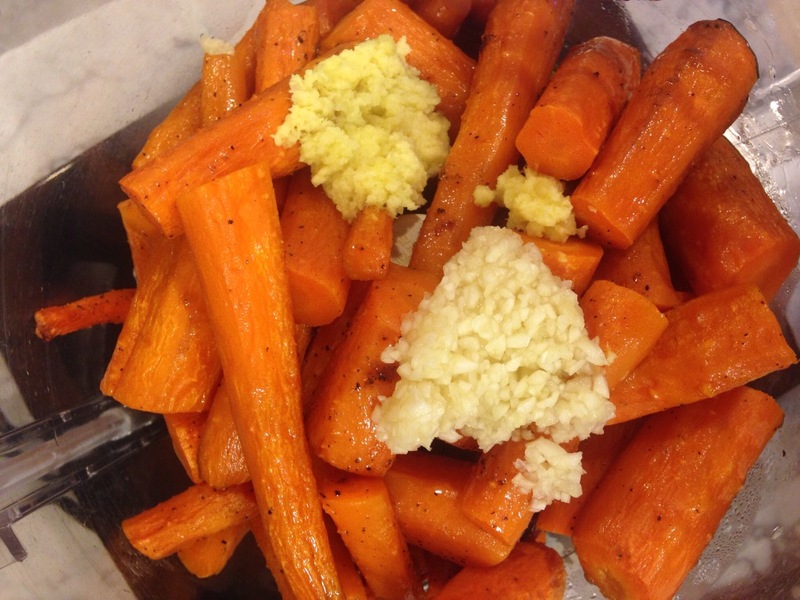 Puree the carrots with grated ginger and minced garlic, adding some of the stock. 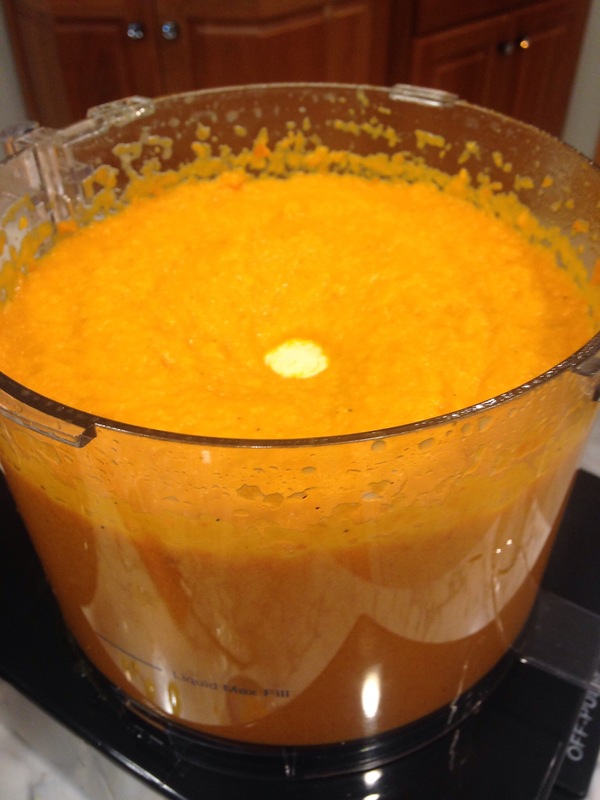 The puree is poured into a cooking pot. Then more stock is added with the allspice, coriander and finally the half and half. 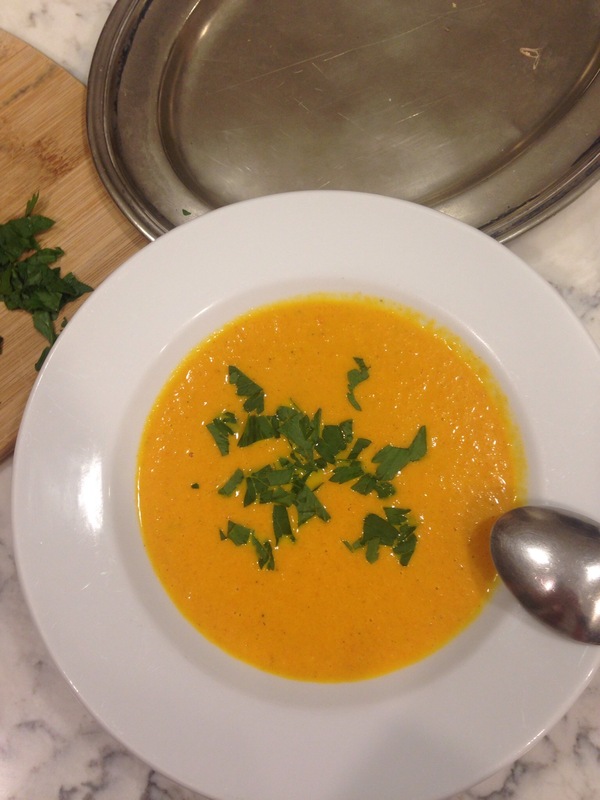 A bit of chopped parsley or mint is layered on the bowl of soup. Voila! On a large baking sheet, drizzle some olive oil. 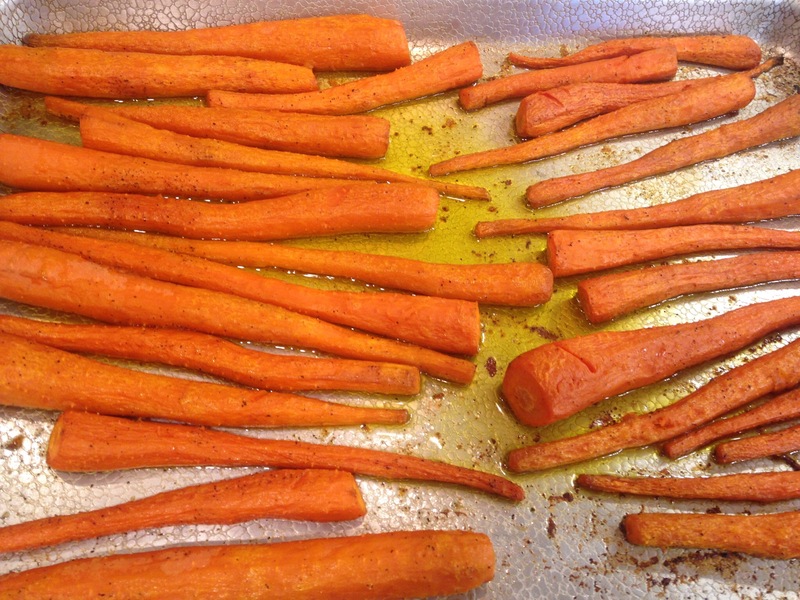 Then place 4 pounds peeled whole carrots and drizzle with more olive oil. Roast at 425 degrees. 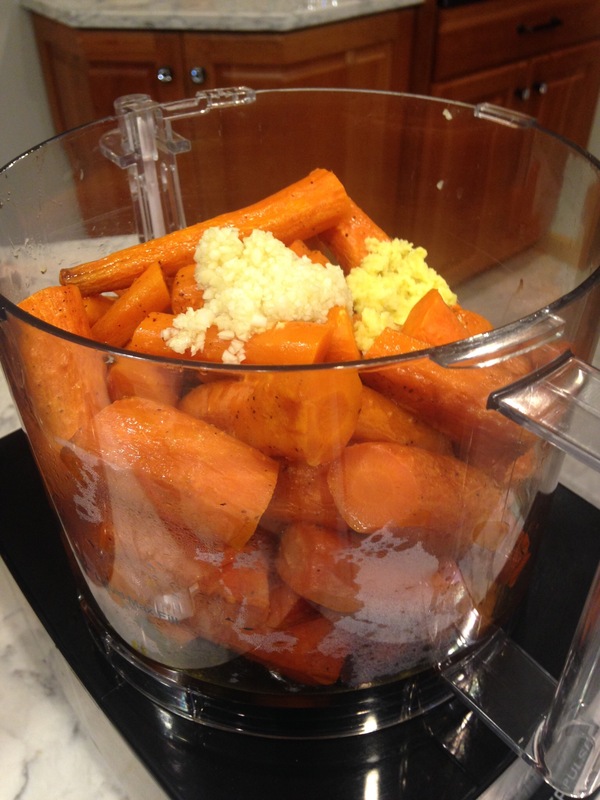 Turn the carrots after 20 minutes. Bake another 20-30 minutes or until carrots are browning and fork tender. This makes about 8 cups. 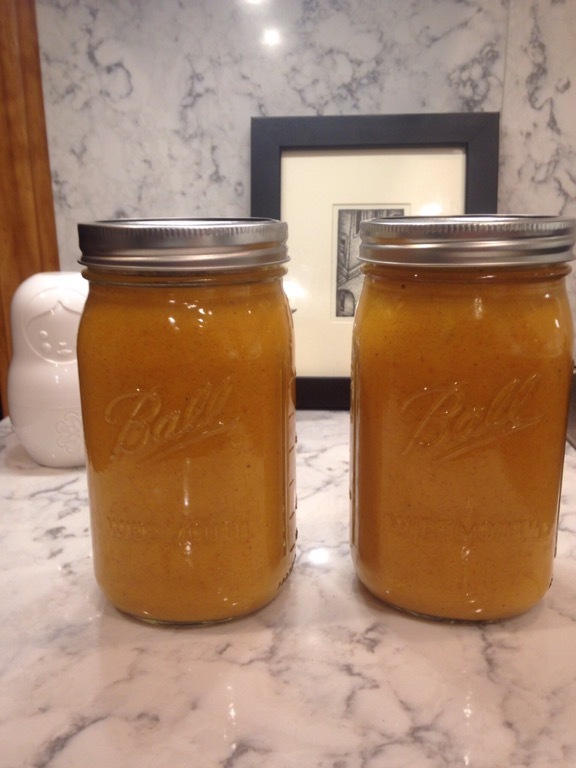 Isn’t it pretty in my Ball canning jars! I love to store food in these containers. 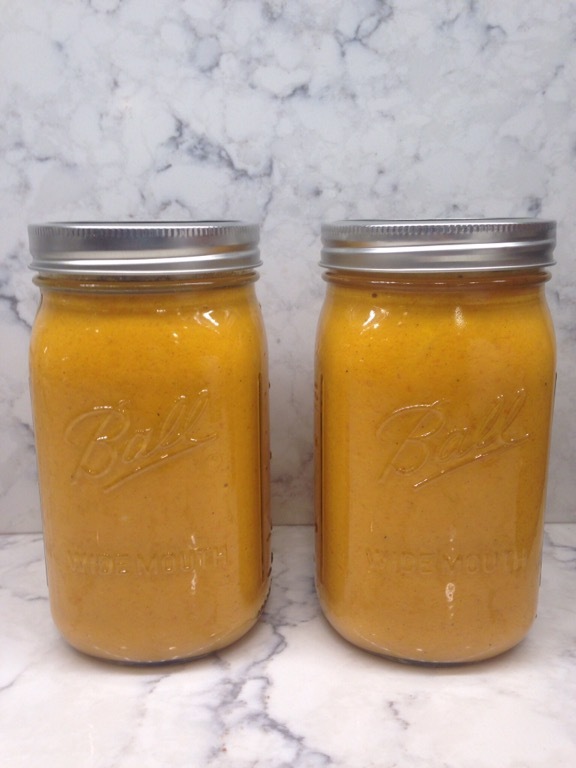 Posted in soups, uncategorized and tagged Ballcanningjars, carrots, ginger, roastedcarrots, soup. Bookmark the permalink. We’ve made this dish several times this year. It’s a New York Times recipe. I hope you love it too! Place a large nonstick skillet over medium high heat until hot. 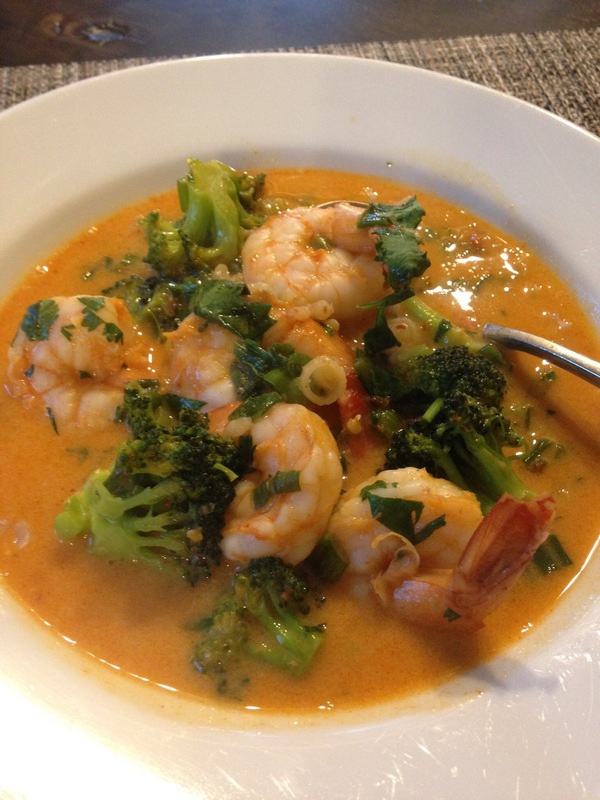 Add the shrimp mixture and sauté 2 minutes. Cover and simmer for 3 minutes until heated through. 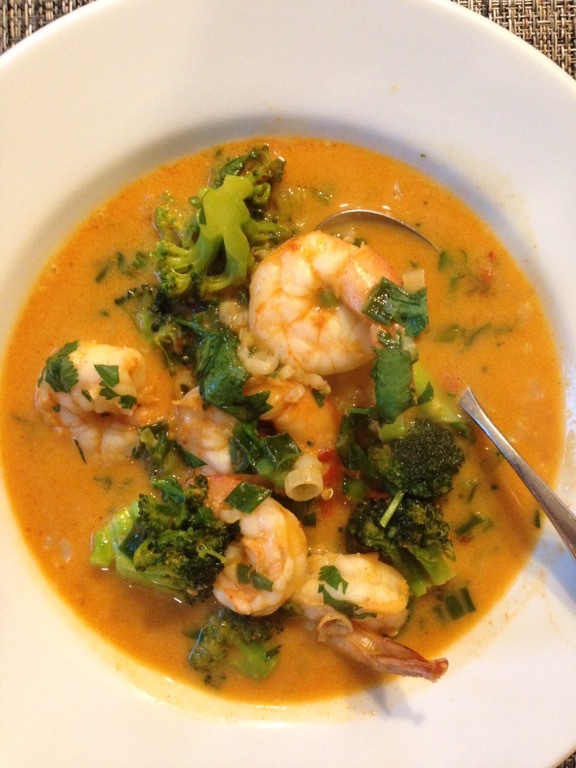 Posted in main dishes, uncategorized and tagged brown rice, coconutmilk, fishsauce, sambal, sesameoil, shrimp, spicy, thai. Bookmark the permalink. 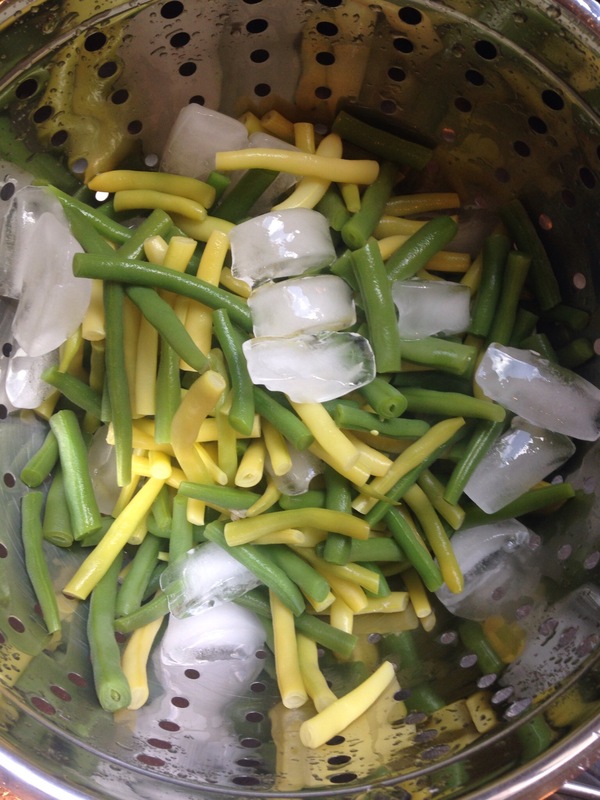 This cold marinated salad became popular in the 1960’s and was commonly served at picnics, BBQs and as a side salad. 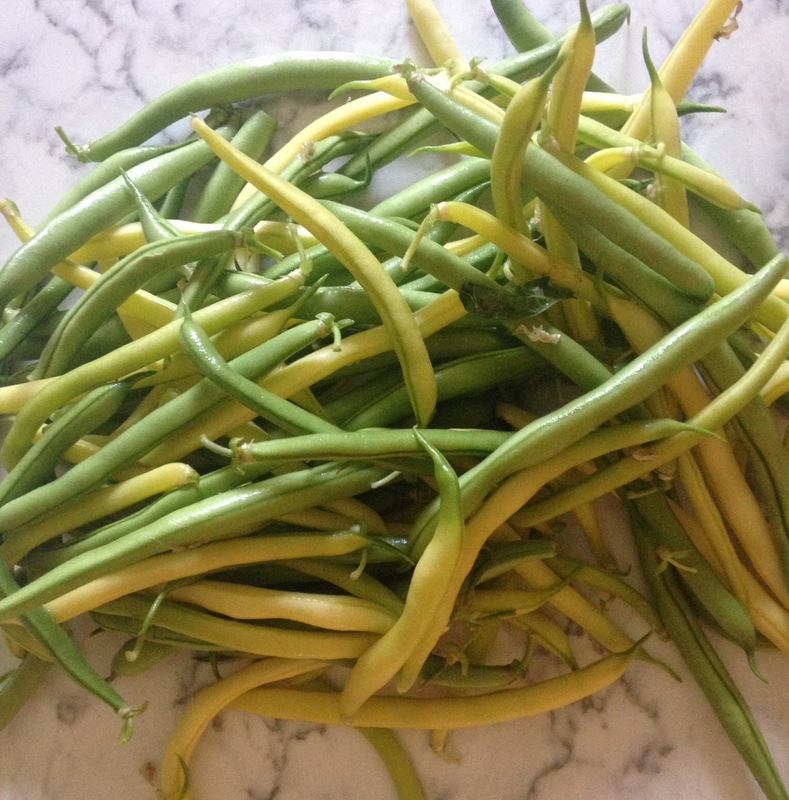 I’ve adapted the original recipe by using fresh rather than canned green beans and yellow wax beans. 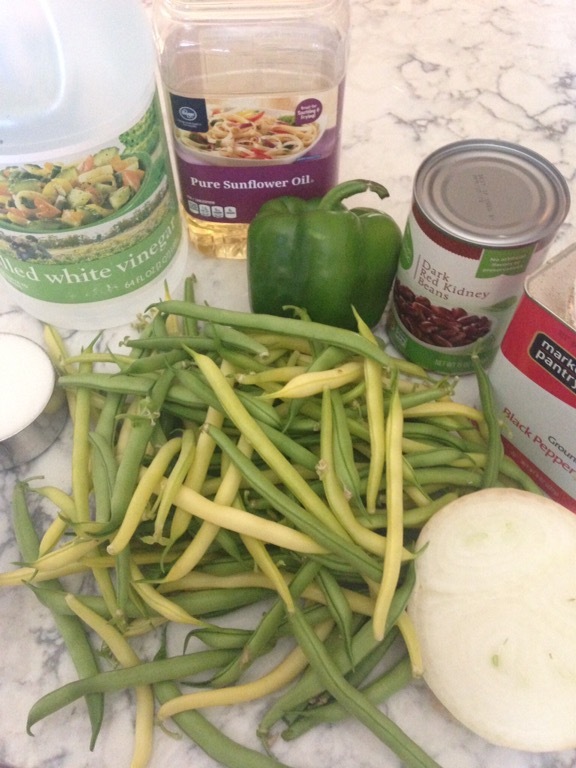 I’ve also cut the sugar way back and used no added salt canned kidney beans and garbanzo beans. 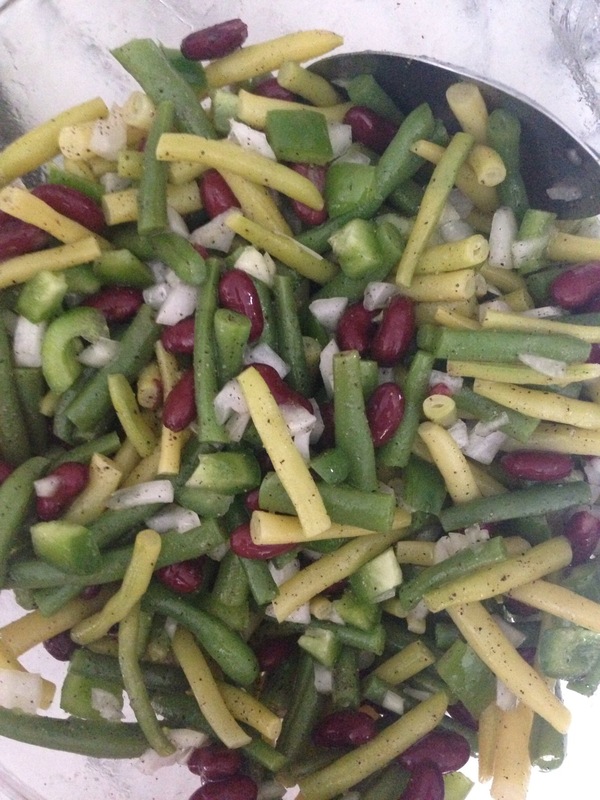 Here is the green, yellow and kidney bean salad. 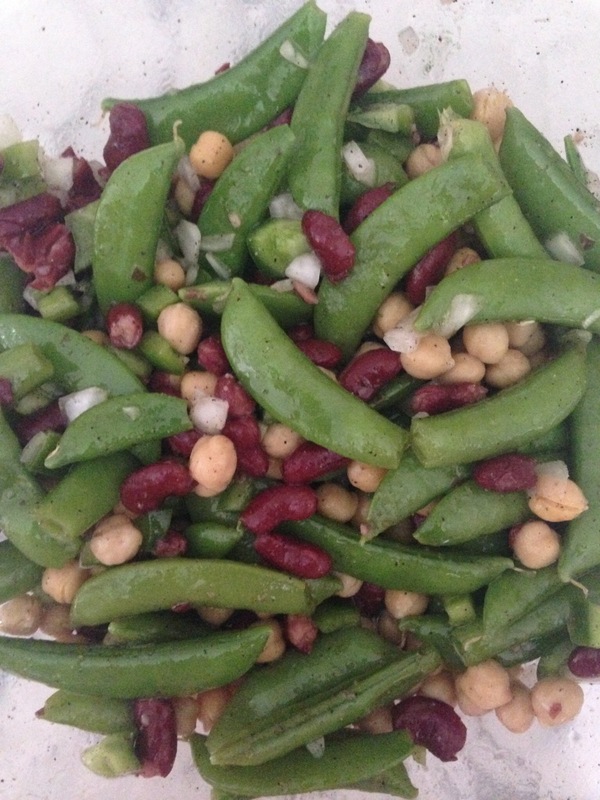 This is another version made with sugar snap peas, dark red kidney beans and garbanzo beans! Everything else is the same as the above 3 bean salad. 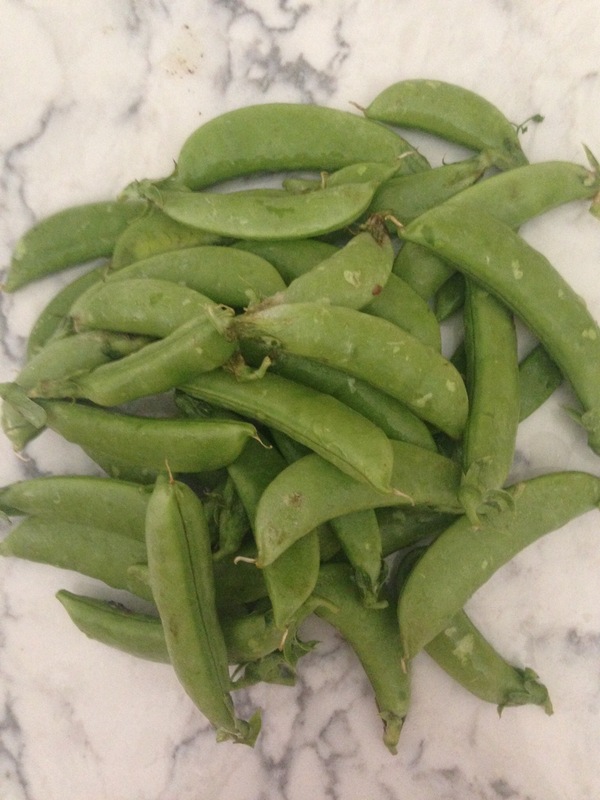 Snap peas are peas with an edible pod. 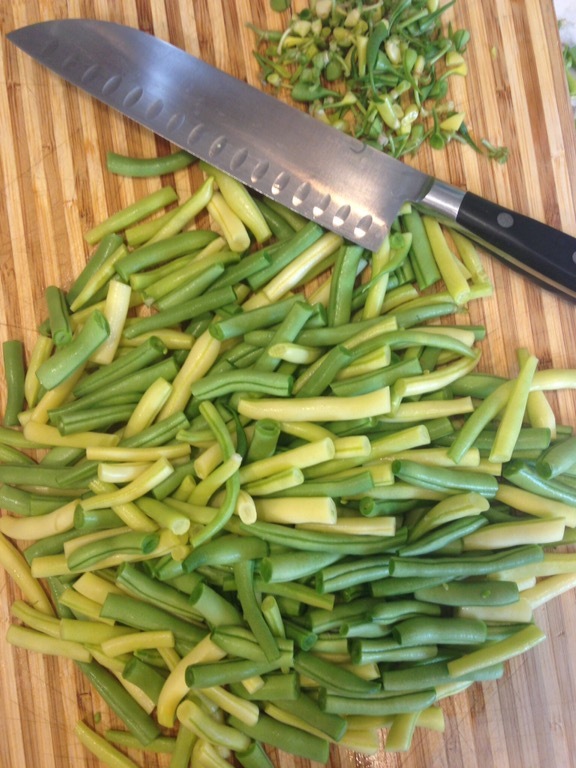 The pod and peas are very tender and sweet and easier to prepare than peas. All you have to do is break off the stem end and in one continuous motion, tear off the string from one side of the pod. Voila! 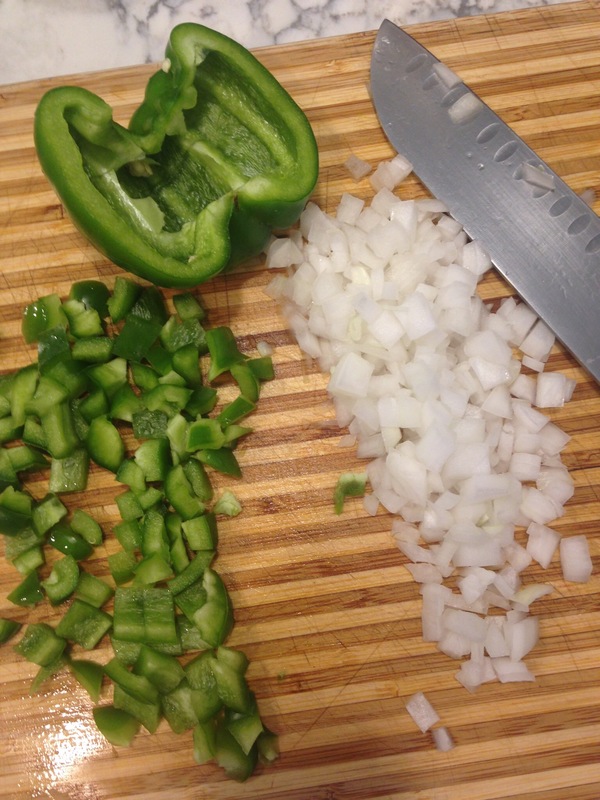 Add the prepared vegetables to the marinade. Pour into a container with a tight fitting lid. 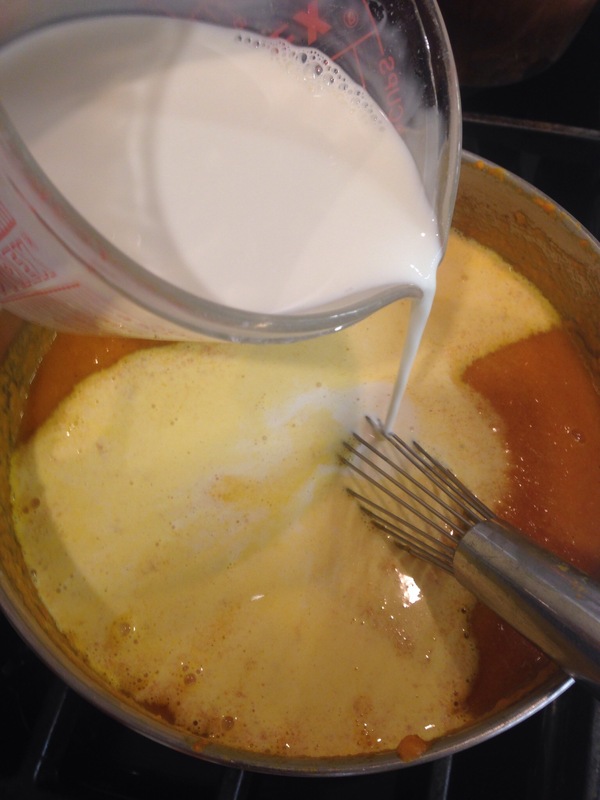 Invert the container a few times every so often to distribute the marinade. Posted in salads, uncategorized and tagged 3 bean salad, garbonzo beans, green beans, mid century salad, snap peas, wax beans. Bookmark the permalink. 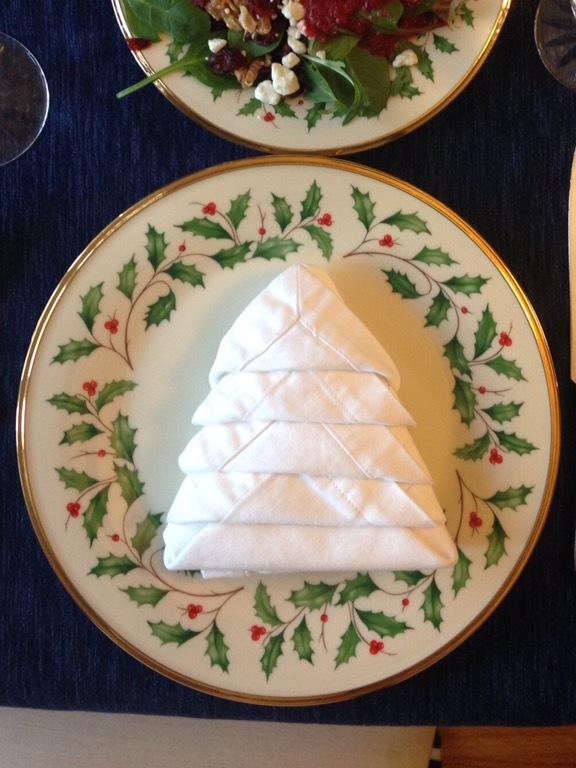 Here is an easy and very effective fun napkin fold for the holidays! Any color napkin works! Posted in menus, uncategorized and tagged christmastree, napkinfolding. Bookmark the permalink. Whoever made Nutella is a genius, it’s one of the most delicious chocolaty spreads I’ve ever had and I’ve been eating it since I was a kid. I remember before this became the popular food to eat, my Dad brought a jar back from Europe and we would spread it all over our croissants for breakfast. He was a bit of a health freak, so I inhaled it before he could change his mind and realize we were eating dessert for breakfast. These little desserts are like tiny bites of Nutella heaven. They make a great breakfast, snack, or dessert. Hope you enjoy! Treasures on Townsend in Midland, MI and the Saginaw Antique Warehouse on Tittabawassee in Saginaw, MI are gold mines! Today I found very practical items I will definitely use often! 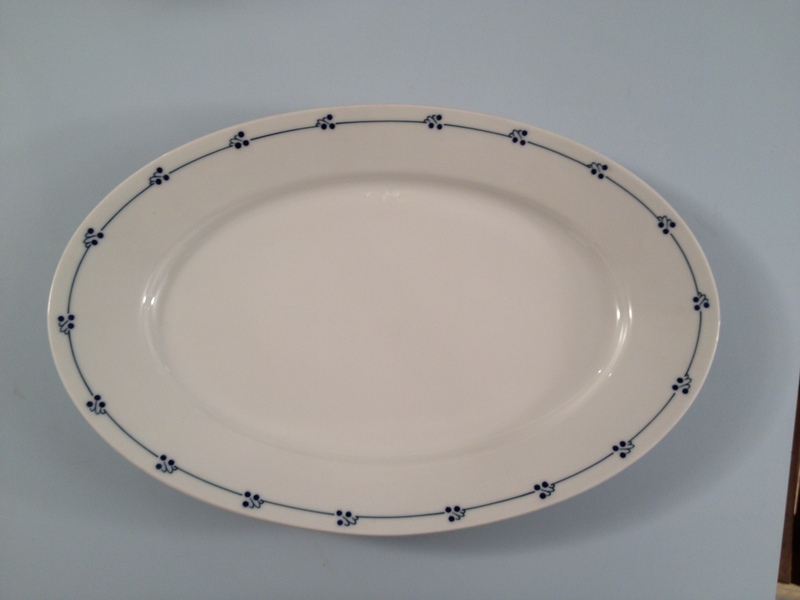 From the Saginaw Antique Warehouse, a huge Saxony platter with plenty of white to regally present any food and a bit of blue trim to keep me happy! 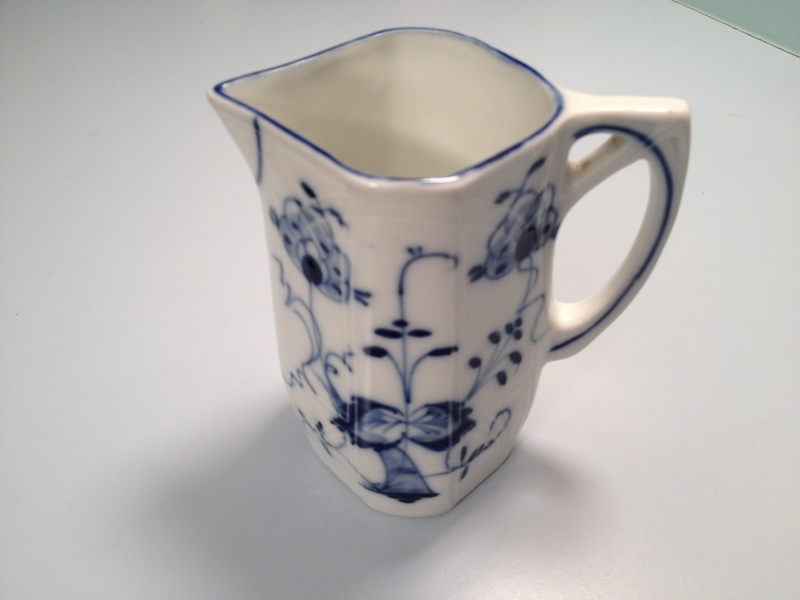 Also from the Saginaw Antique Warehouse, a German creamer, so pretty with a raised pattern and delicate blue painting. 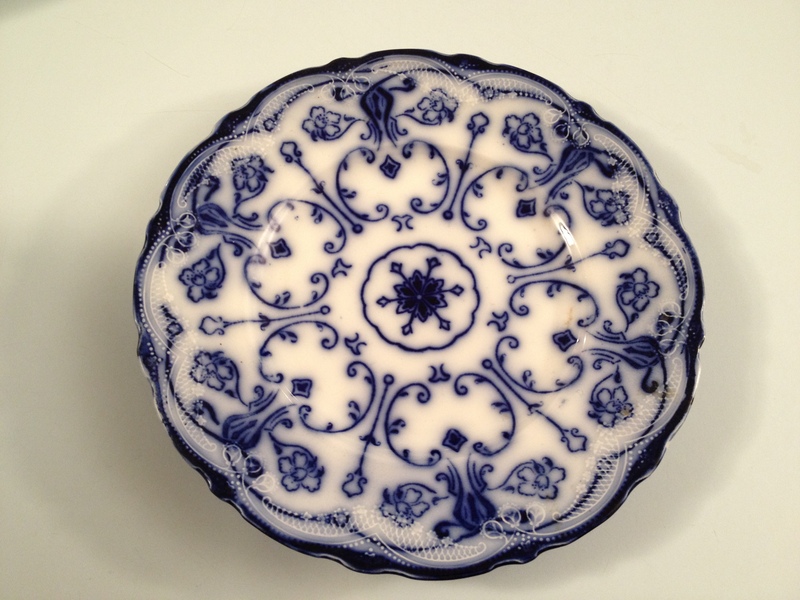 I’ll use this to serve hot milk with coffee or true Michigan maple syrup with waffles! Treasures on Townsend has a basement filled with 50% off items! 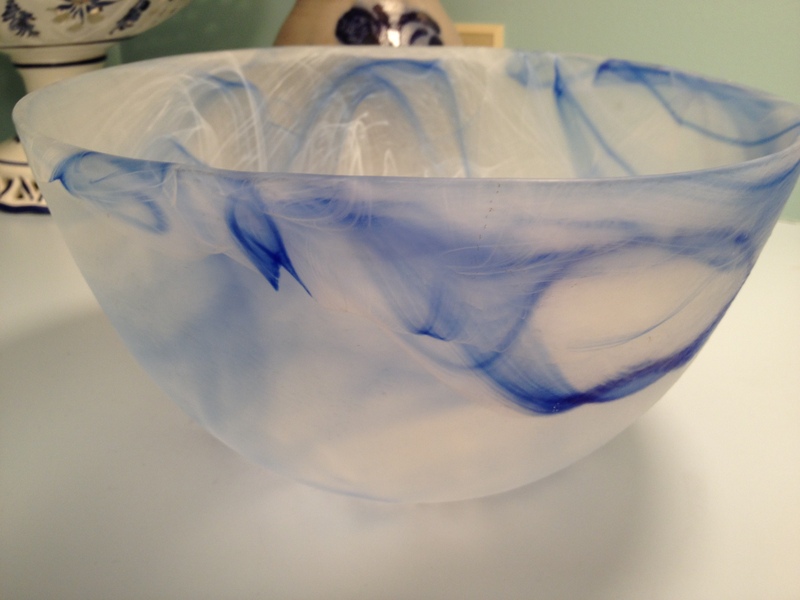 This swirly blue glass bowl is just my style and will be perfect for cold salads! Though not for serving food, I love the Flow Blue pattern added to our collection today, displayed close to the ceiling around our dining room. Posted in Kitchen remodeling, uncategorized and tagged creamer, Dinnerware, English, Flow Blue, German, glass bowl, pitcher, plate, platter. Bookmark the permalink.